. إن ماريانا ريزورت آند سبا حريص على توفير الراحة للنزلاء، فلا يوفر الموظفون جهداً في تقديم أفضل الخدمات وضمان حسن الاستقبال. يقدم العقار متجر هدايا/تذكارات, مكتب الاستقبال على مدار الساعة, مرافق مخصصة لذوي الاحتياجات الخاصة, تخزين الأمتعة, واي فاي في المناطق العامة لضمان الراحة القصوى لضيوفه. استمتع بوسائل الراحة الراقية في الغرف أثناء إقامتك هنا. بعض الغرف تتضمن تلفزيون بشاشة مسطحة, مناشف, إغلاق, مسبح خاص, حوض الاسترخاء لمساعدتك على استعادة طاقتك بعد يوم طويل. يقدم الفندق خدمات رائعة كمثل حوض استحمام ساخن, مركز للياقة البدنية, ساونا, ملعب جولف (ضمن العقار), مسار جولف - ضمن 3 كم لمساعدتك على الاسترخاء بعد نهار طويل من النشاط والتجوال في المدينة. استمتع بخدمات لا يعلى عليها وعنوان ذو اعتبار في ماريانا ريزورت آند سبا . 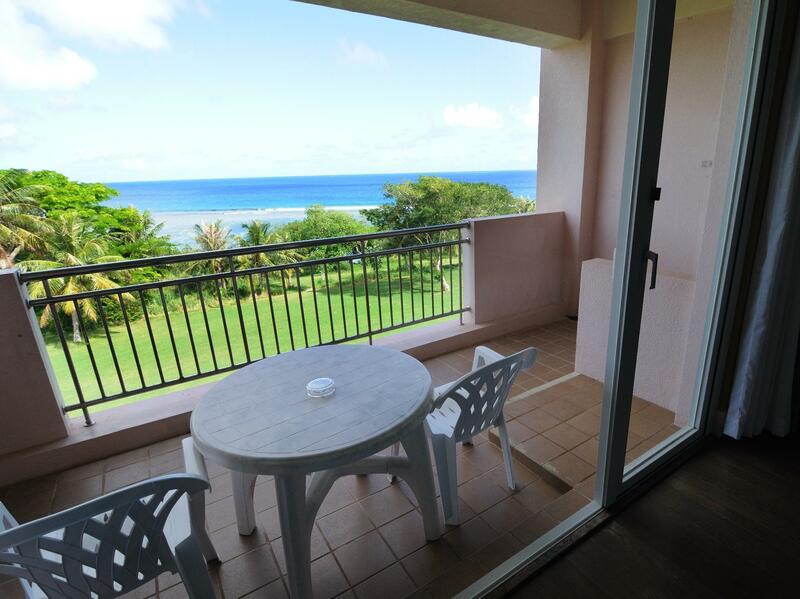 The hotel is the one which is farthest in Saipan, but the atmosphere will satisfy you. 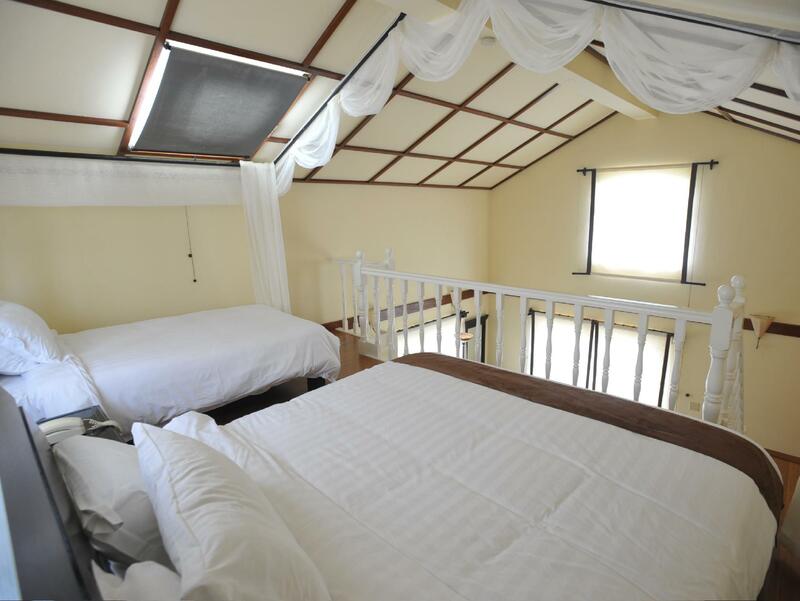 The private village room is guaranteed for quite cozy comfy break. And the private beach it has, there you can do snorkeling and see fishes. I wanna visit here and stay again ! The location is far from downtown but it's worth it. Very quiet at night and the wall is very thick I think(I couldn't hear any noise at night) Dishes at the restaurant, just perfect and reasonable price. And there's no slide at the pool so no kids too. very relaxed. Madi asian spa also wonderful. We had Asian bland massage with oil. all staffs are very kindly. I will book this resort again for future visiting. Great location if you want to unplug amd escape the world for a few days. 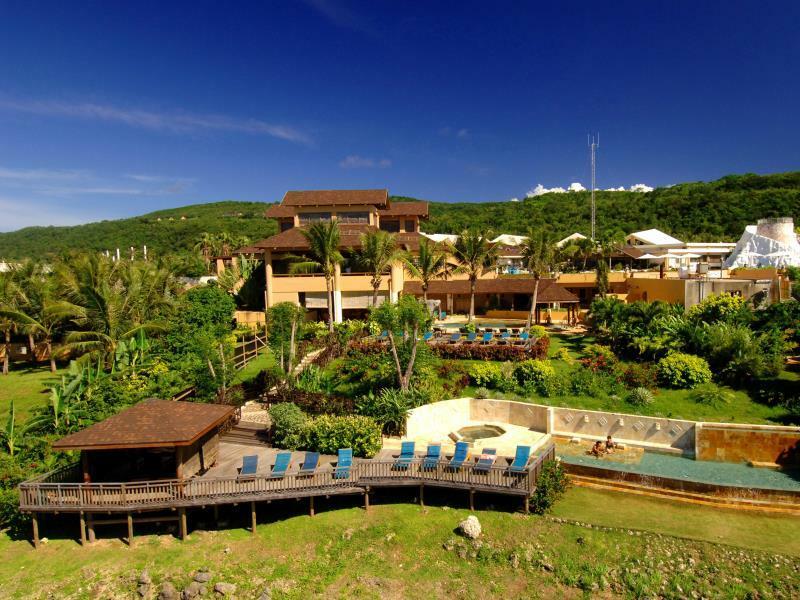 Beautiful landscaping, clean and spacious luxury cabanas, helpful staff. Internet wasn't available for my model cell phone, WiFi was only available in the resort lobby area. The location is a little further from places such as Garapan - but if you use the Shuttle Bus that runs every hour, then you can get to the downtown area. If you need to travel further South - use the Southern Shuttle service. It was great to get around easily to other beaches. The beach here isn't the best, especially not great for kids - but you can get to others very easily on this island. Being that far north is great for seeing the Grotto, Bird Island, Suicide Cliff, Kalabera Cave and other things in the North. The rooms were clean and very big for the two of us travelling together. Good air conditioning that was already running when we got there at 5am in the morning! The staff were very hospitable and extremely friendly and helpful with making day trip plans, booking trekking tours (With Marianas Trekking - great company!) and other such plans around the island. They were very welcoming and happy each time we spoke with them. They always had a smile on and were good to talk to. Thank you Tammy for booking so many things for us! The facilities were great. There was a great deal for 6 days to get Breakfast or Lunch buffet and anytime access to Mandi Spa - we did this and DID NOT regret it. Having the Spa access was great to relax in the sun and each morning /afternoon we had full access to the buffet. This made for worrying about places to eat very easy and much more affordable each week. The Spa is a great place to relax, have some drinks, work out, and get some sun. Marianas Trekking - right beside the resort - was great and took us on some great treks to Forbidden Island and the Grotto. The guides were friendly and made the treks enjoyable. They pick you up and drop you off in front of the resort. The golf course was awesome to use and was I was also given a ride up and down the hill to play. Would recommend this resort to friends for sure! Thank you for the great trip to Saipan! We loved our ocean view Vila, the staff and the spa!!! We were more than pleased with our stay at the resort. We were greeted with friendly faces, impeccable service and a variety of activities! 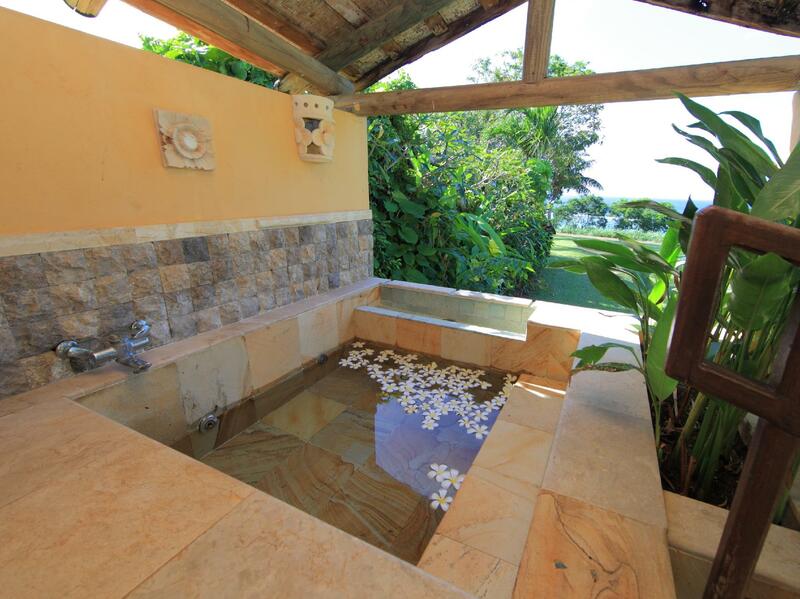 The ocean view Vila with private hot tub was perfect and very clean. We enjoyed the spa on three occasions and ate at the restaraunts frequently. We can't wait to go back! 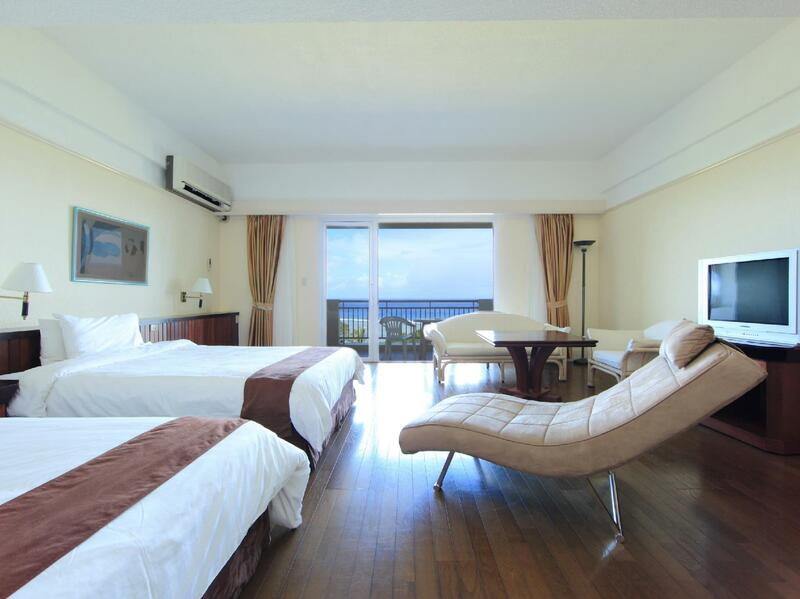 The hotel room is very big but facilities quite old.We enjoy snorkelling in beach that can discover more than ten spices of fishes in water,It is the most enjoy time in Saipan. This hotel is FAR from the city center, and it is difficult to get cab in Saipan. There is NO wifi singal in the room. The staffs are are not friendly or helful either. The only plus is the beach, but snorkeling masks, life vests and beach chairs are only for rental to the hotel guests. What is even worse is that the so-called lifeguard leaves scene around 3pm. This is one of the worst resort I have been to around the world. Firstly, location is really bad. At first I thought the resort has their own shuttle bus, but turn out it's only a shuttle bus offer by DFS, which mean you can't get to anywhere else except DFS galleries. Secondly, the room is really old, nothing like it is in the picture. Some of the mug has dirt in it, sofa is really old, the barrier in balcony is rusty. In most of the hotel and resort, you would expect there are at least a bottle for each guest. But there are nothing provided. And as the location is really free away from the centre, you have to buy a big bottle of water and bring back each and every day. Thirdly, service. I arrived around 20 minutes early than the check in time. And I have try to ask the stuff are there any room which are ready already. And turn out checking in 20 minutes earlier, there would be a early checking in fee. Also from the website, I saw that there are swimming pool picture and nice gym room picture. But turn out all of these are the extra service which you need to pay for. And it's 20usd pre head, which it's totally not what i expected. I have try to ask for a spoon at around 1 pm, and I have not got it until 2:30pm. Just because the stuff need the gold car to drive to my room and pass me a single spoons, while walking from reception to my room only takes around 5 minutes. And cleaning staff, they seems to take forever to clear up only the bath room and toilet. And often they took the towel away and forgot to replace it afterward. And ofcuz you have to ring the reception at night time when you are back, and wait another half an hour also for them to get you 2 pieces of towel. The after all experience is so bad that I would not recommended anyone to go there. Although it is far away from the downtown, you can see the beautiful sky full of stars. Yet, the beach is closed and was a bit disappointed. Havent tried the spa and the golf, would try that next time. The facility is very old and we were surprised that there were no water or tea spoons inside the room. Bed sheets were really stained, and one day the toilet went wrong without any reason. The view around the resort was quite beautiful though. Great relaxing environment to unwind. Room was big but bit outdated. Stayed for 2 nights and had problems with room cleaning service. We waited till the evening for our room to be serviced. The front desk staff was not helpful and I had to personally drag a maid from another room to clean our room. Very disappointed with their lack of attentiveness. I enjoyed my stay at the Mariana though there are some minuses. 1. No close restaurants and there's only 1 restaurant in the resort which is good but you don't want to eat more than once a day at the same place. 2. Beautiful ocean view but the beach is not with sand but with rocks :( - but this is okay since everyone who goes to Saipan will visit the Managaha island so i don't mind it too much. Except for those two I mentioned, i really liked the resort. It was a family trip with a 22 months old baby and my sis was pregnant(6months), and the purpose of the trip was to relax and let the mom and baby get some fresh air. I think that's why there were lots of babies and kids in the resort. I recommend the Mariana for families with kids, babies or senior and if you like to golf, it's the best place in Saipan. Oh the staffs are really friendly too! 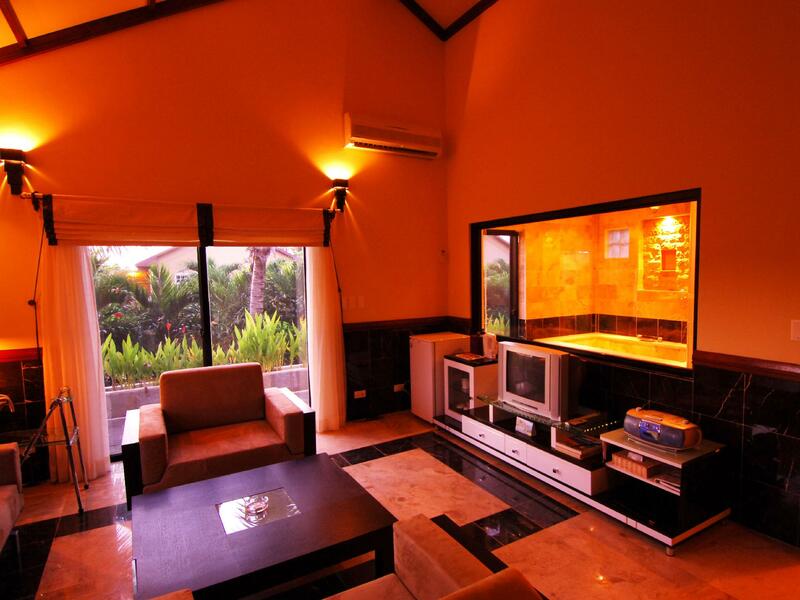 A great place to stay if you just want to relax and enjoy the spa and golf facilities. We had the reefside twin which had a balcony and ocean views. The villas seemed far and only had garden views, so we were happy with our choice. 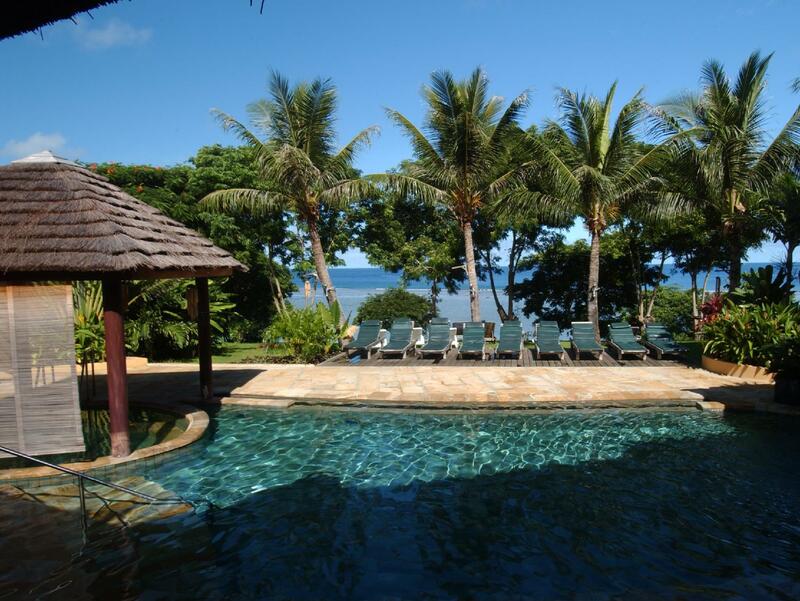 There's a charge to use the pool, but access to the small private beach is free. They also have a great deal with a breakfast and spa card for (max. 6 days), as well as a golf pass (also max. 6 days), which is very convenient. Great range of massage courses, even if they are a little pricy. The tennis court and short golf course could be more well-maintained, and reception could smile more at times! All in all though, a nice place to stay if you want to avoid the crowds and tourists as it's in the northern part of the island and out of the city centre.